Syntec Optics has been making Polymer Diffractive Lenses for complex applications for over a decade. With innovative practices, we can mold or diamond turn lenses to suit your need. 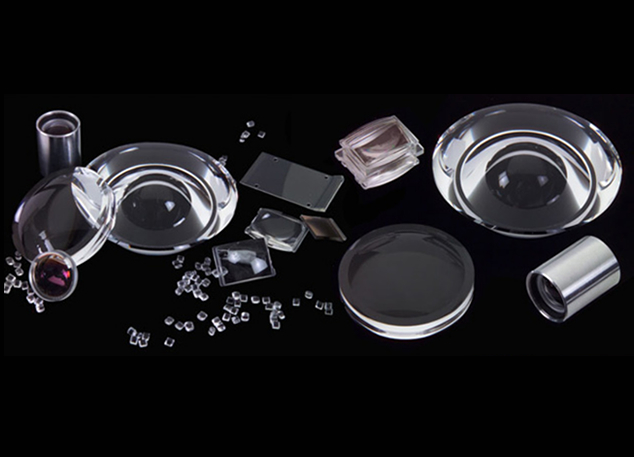 Diffractive surfaces for polymer optics at Syntec very commonly are combined with an aspheric shape to provide the lens designer with a cost-effective solution by eliminating elements in a system. Our specialists are always working efficiently to make sure you have access to items like helmet mounted heads up display optics, plastic freeform prisms, and other high-end optics. Whether you are starting a new project or looking for replacement polymer optics, our team is ready to discuss our options with you. Contact us today for more information about how we can assist you with a helmet mounted heads up display, polymer diffractive lenses, and plastic freeform prisms.